Summer is upon us and that means picnics and barbecues galore. We have a group of friends who we like to barbecue often with. In order to do this we typically delegate each family to bring a dish or two. The host family almost always provides the main dish. These are small barbecue get-togethers so I’m always searching for a smaller side dish to bring that doesn’t necessarily have to feed an army. That’s where this Creamy Pepperoni Pizza Pasta Salad came in. Everyone loves pepperoni pizza and pasta salad so why not marry the two together? Genius, right? You can thank me later. 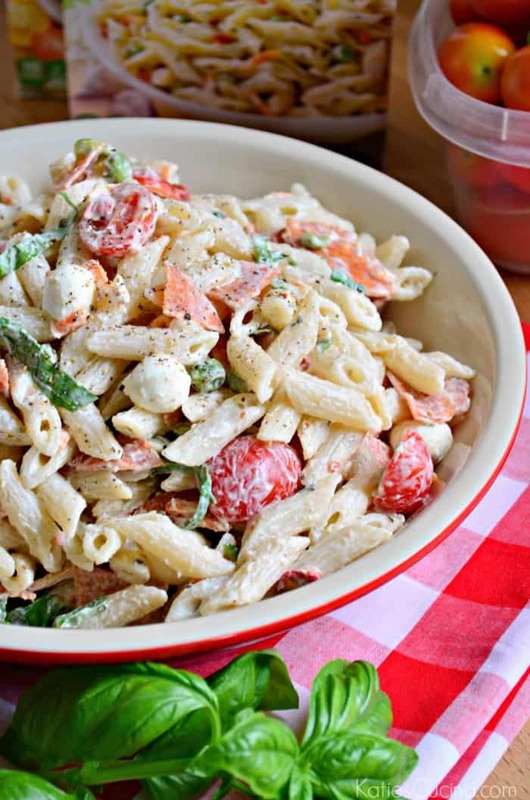 In order to make this a very quick pasta salad side dish I used a box of Creamy Italian Suddenly Pasta Salad. It includes pasta, dried vegetables like carrots, peas, and bell pepper, and a seasoning packet. All you have to do is add mayonnaise and of course all the ingredients you need to bring my Creamy Pepperoni Pizza Pasta Salad to life. I chopped up pepperoni, sliced grape tomatoes in half, and added a half cup of mini mozzarella pearls to the pasta salad. Then just before serving I chopped up some fresh basil. Everything you would need to make a delicious pepperoni pizza. My garden is currently bursting at the seams right now with grape and cherry tomatoes and fresh basil among other things. I’m finding ways to incorporate tomatoes and basil into just about every recipe these days. If you want to make this recipe I encourage you to download and print the digital coupons to save on Suddenly Pasta Salad right now. You can save .50 on two boxes. So if you’re entertaining for a crowd you can pick up the two boxes and just double this recipe! My friends at Betty Crocker want to give $25 in PayPal cash to one lucky reader so they can try Suddenly Pasta Salads, too! Just wait for the rafflecopter widget to load (or click on the link if it doesn’t load) and enter to win. Winner will be contacted via email and will have 48 hours to respond. Must have a PayPal account to receive cash prize. Giveaway ends on 5/25/2015. Cook the pasta according to package; boiling for 13 minutes. Drain water and rinse with cold water. Set to the side. In a large bowl combine mayonnaise and seasoning packet. Slice grape tomatoes, pepperoni, and fresh mozzarella. Place cooked pasta in the bowl with the sauce mixture and then add in the grape tomatoes, pepperoni and fresh mini mozzarella balls. Mix well and refrigerate for 1 hour. Before serving chiffonade the basil and mix into the pasta salad. Layered Curry Salad looks yummy. I want to try and make the Greek Tossed Pasta Salad! It looks so delicious! Id like to try the Layered Curry Pasta salad! I would love to try the sunny broccoli pasta salad! I like the Creamy Italian Suddenly Pasta Salad. I’d most like to try the Layered Mexican Party Salad! I would make the quick antipasto salad. I’d like to try the Layered Mexican Party Salad. 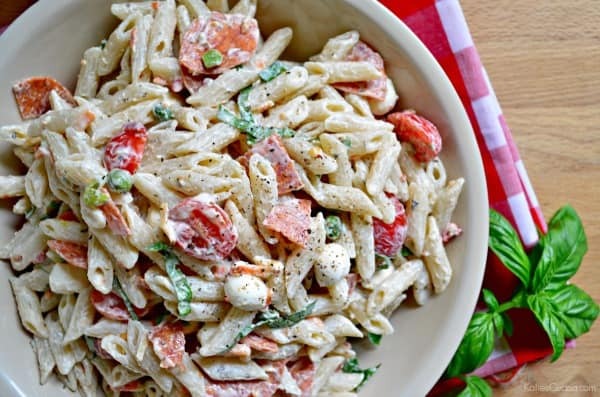 I’d love to try the Tuscan Style Tomato Pasta Salad recipe! anything southwestern is an automatic hit with us! The California Chicken BLT Salad sounds amazing! I would like to try the California Chicken BLT Salad. I’d like to try the layered curry pasta salad. I want to try the Layered Curry Pasta Salad, it sounds delicious. 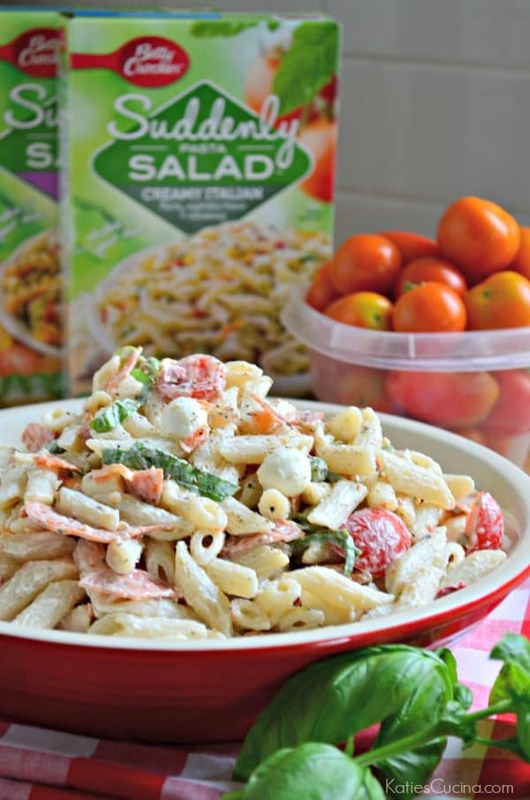 The Layered Curry Pasta Salad recipe looks fantastic! I would like to try the California Chicken BLT Salad recipe. I would try the Layered Curry Pasta Salad! I’d like to make the Layered Pasta Curry Salad. I love how the Curried layer salad looks! We LOVE Suddenly Salad in our house! I always add avocado and pepperoni to the ranch one. YUM-O. I will like to try Southwestern Ranch Pasta Salad recipe. I’d love to try the Greek tossed Pasta. I love Greek salads! I would love to try the California Chicken BLT salad first but they all sound yummy. I would like to make the Chicken Pesto Salad. The mexican party salad sounds yummy! That looks so good! I would also really love to try the Chicken Pesto Salad! This is so perfect for the hot weather during outside grilling weather! Yum! Oh I would love to try the Quick Antipasto Pasta Salad first! That looks so good! You won!!! Please check your email! I want to try layered mexican party salad. I wanna try the greek tossed salad. I would love to try the southwest ranch pasta salad! I would love to try the Layered Mexican Party Salad. The Greek Tossed Pasta Salad looks good to me! The layered mexican party salad looks great!! I will be trying the California Chicken BLT Salad. The California Chicken BLT salad looks yummy! 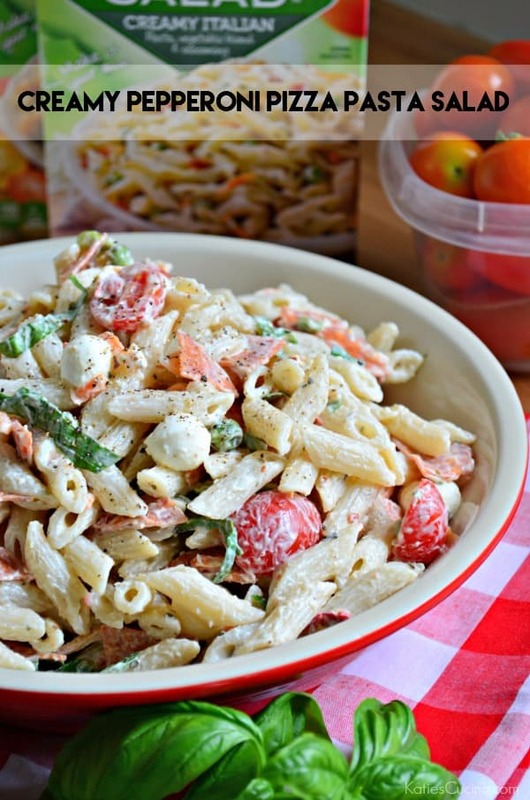 Tuscan Style Tomato Pasta Salad looks most delicious. I’d add some mushroom and it can easily become my favorite! I would like to try the Sunny Broccoli Pasta Salad.